What does a drill press operator do? Would you make a good drill press operator? Take our career test to find out how you match with this and over 800 other careers. What is a Drill Press Operator? What is the workplace of a Drill Press Operator like? 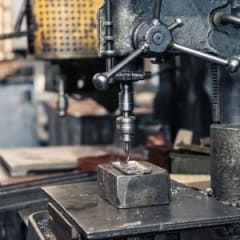 A drill press operator is someone who sets up, operates, or tends drilling machines to drill, bore, ream, mill, or countersink metal or plastic work pieces. There’s no end to the possible products drill press operators can help create. From trampoline supports to automotive parts to shelving units, the operator pre-drills the holes that later receive bolts, rods, or other components when the product is constructed. 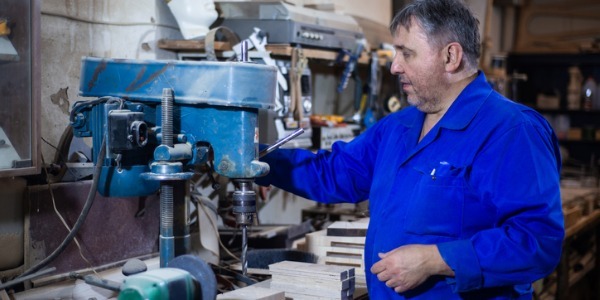 Are you suited to be a drill press operator? Drill press operators have distinct personalities. They tend to be realistic individuals, which means they’re independent, stable, persistent, genuine, practical, and thrifty. They like tasks that are tactile, physical, athletic, or mechanical. Some of them are also investigative, meaning they’re intellectual, introspective, and inquisitive. Does this sound like you? Take our free career test to find out if becoming a drill press operator is right for you. A drill press operator may work in hot/cold conditions, and may also be exposed to loud noise from nearby machinery. The majority of work will be done in a factory like setting; care must be taken to follow safety guidelines. The operator may be required to lift up to fifty pounds or more, and normal job duties may require some bending, sitting, standing/stooping for certain periods of time.